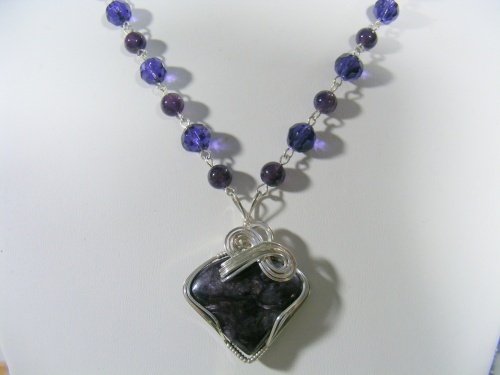 This gorgeous amethyst beaded necklace with a Charoite gemstone focal pendant is so elegant with swirls and curls sculpted on it with sterling silver. Piece measures 18" and has a locking clasp for safety - one of a kind and strikingly beautiful! Comes with a complimentary pair of earrings.